Incidence of BED appears to be on the increase. Treating it, and overcoming it, is all the more difficult, especially for those living in a culture that has an intense body image focus. 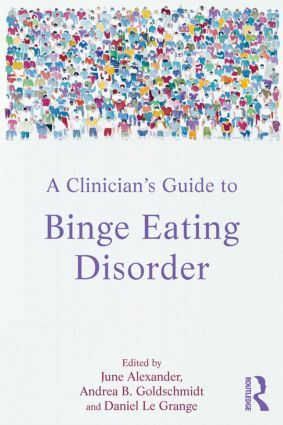 A Clinician’s Guide to Binge Eating Disorder educates the reader about its triggers and behaviours – and describes steps to treat it and resume a full and productive life. Evidence-based research outcomes provide the framework and foundation for this book. First-person case studies bring application of this science to life to help close the gap between research and treatment/care, and the importance of clinicians developing a therapeutic relationship as a healing tool with their client is discussed, recognizing that medical and psychological dimensions are inextricably intertwined. This book allays fear of the unknown, explains the emotional chaos that can sweep in like a storm when, unintentionally, triggers are released. It provides practical steps and footholds for clinicians and researchers to help the patient take control of their life and look to a positive future. ByMyrA AlTMAn, DEnISE E. WIlFlEy, JUlIETTE M. IACovIno, hEAThEr l.